It's baaaaaack!! Yes folks - #FantasyMovieDraft is back for a very special holiday edition and this time we're taking no prisoners! 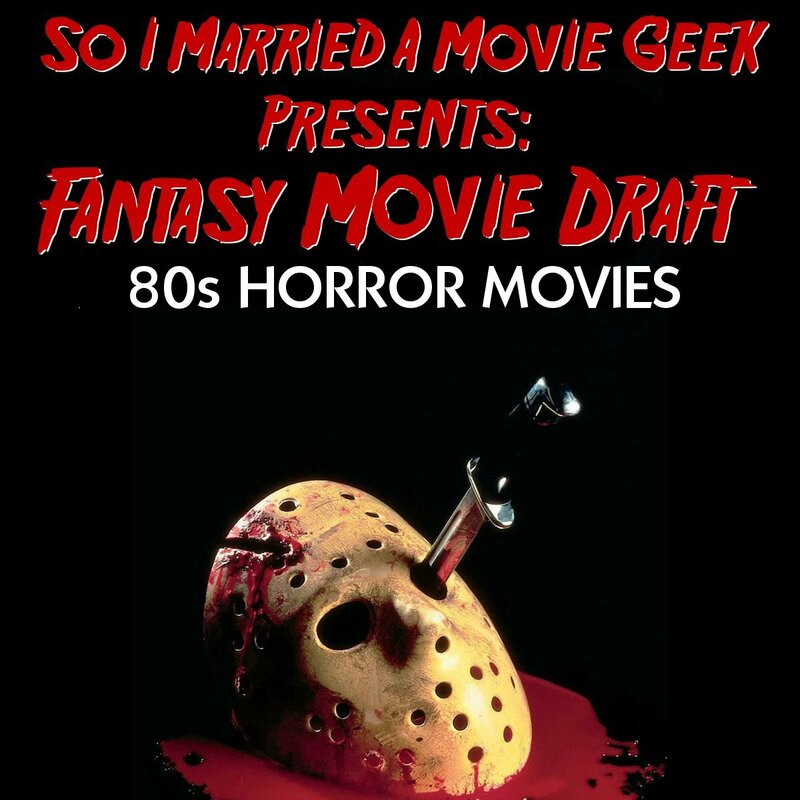 This week, we're throwing it back to the 80s and drafting our favorite horror movies from, in our opinion, the best decade EVER for the genre! And joining in the fun to do so are 3 of our #MoviePodSquad Network friends: Justin from Epic Film Guys and Chris & Shampu from Buds, Beers, And Brutality! Which slasher franchise got the most love? And which amazing films were still left on the board at the end? If you're a horror fan, you don't want to miss this episode! It might have our most competitive list of "teams" yet! Be sure to vote for your fave! Like our podcast on Facebook and follow us on Twitter @MovieGeekCast! Subscribe and if you would like to join our Dream Warriors fan club, please leave us a positive rating and review on iTunes! We will literally love you until the end of time! You can also email us any questions & comments to moviegeekcast (at) gmail (dot) com! Thanks for listening!